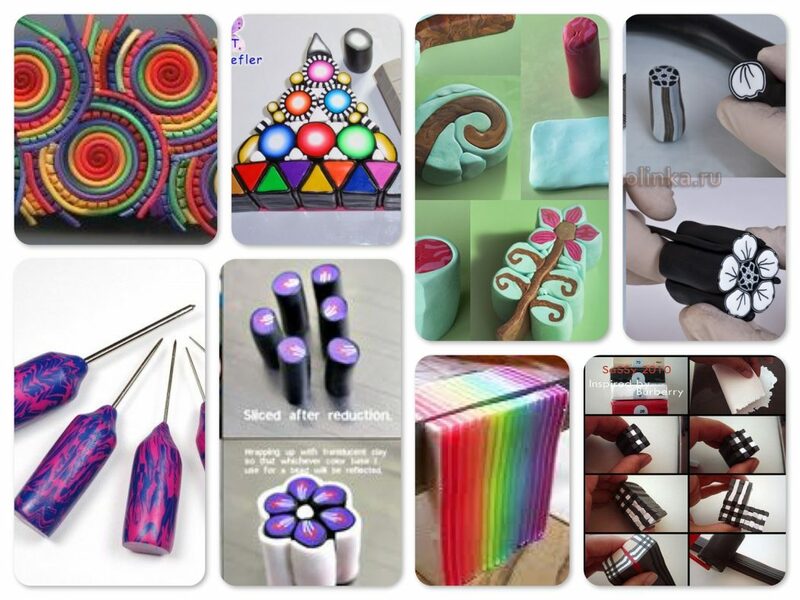 Every week I pin oodles of great polymer clay tutorials on Pinterest. Some of these polymer clay tutorials have been shared by groups, some I’ve found on my RSS feeds, some I’ve stumbled on through Pinterest. In any case, I thought I’d take my “Tutorial Tuesday” to share with you some of the great tutorials that are out there. Next week, I will bring you another cute free tutorial that you can make in your own studio! For each of these tutorials, I will link not only the Pinterest link where you can repin these tutorials but also their original source links. Tutorials & Links are listed clockwise from top left.